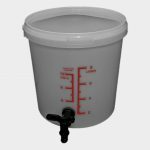 Buy homebrew containers directly from a UK manufacturer. 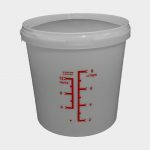 We stock various sizes and shapes but we make sure that all of our containers are made from a high quality polypropylene – these beer brewing buckets are more sturdy and reliable than containers which are imported by other online distributors. 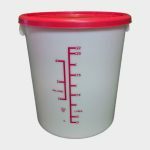 Homebrew containers have a measuring stick printed on the outside wall to make measuring ingredients easier. 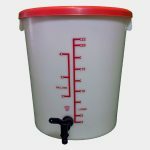 They also have an airlock lid and a flat bottomed base to aid fermentation. 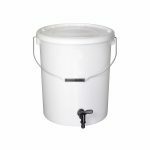 To make serving your beer, cider or wine even more rewarding then get a homebrew bucket with a built-in tap. These also make great drinks dispensers for parties so get the punch out! We serve domestic and non-domestic customers. Everyone can get extra value when they go direct to the manufacturer.